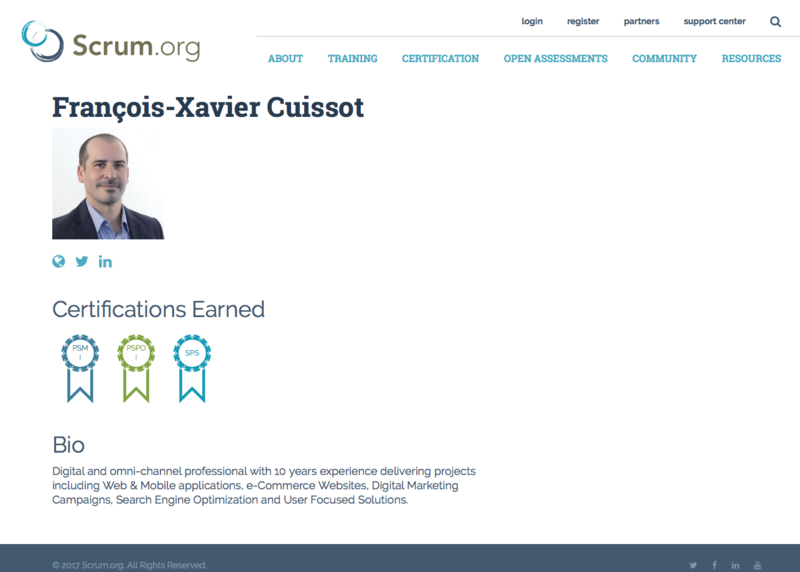 Back home, I searched Agile jobs and discovered that most vacancies as Digital Project Managers / Product Owners required Scrum certifications / knowledge. 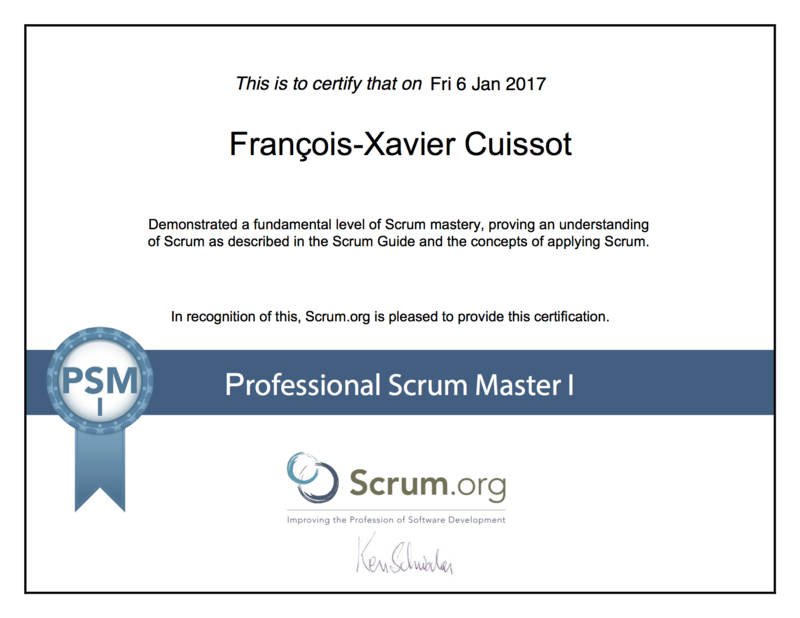 After browsing the web for Scrum certifications, I choose ones from Scrum.org because it’s affordable, there are no renewal costs and can be passed it really fast. 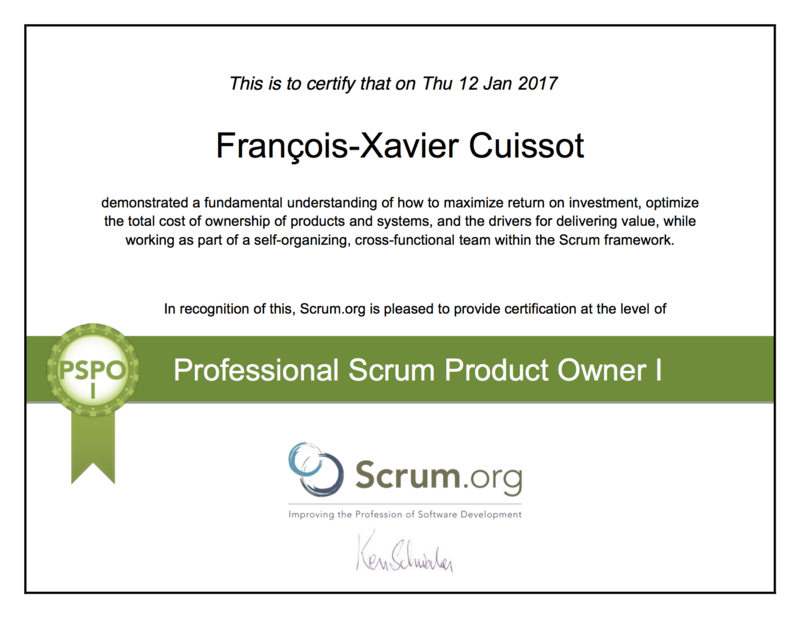 Hope that the following steps I did to pass on my first try Professional Scrum Master (PSM I), Professional Product Owner (PSPO I) and Scaled Professional Scrum (SPS) can help. 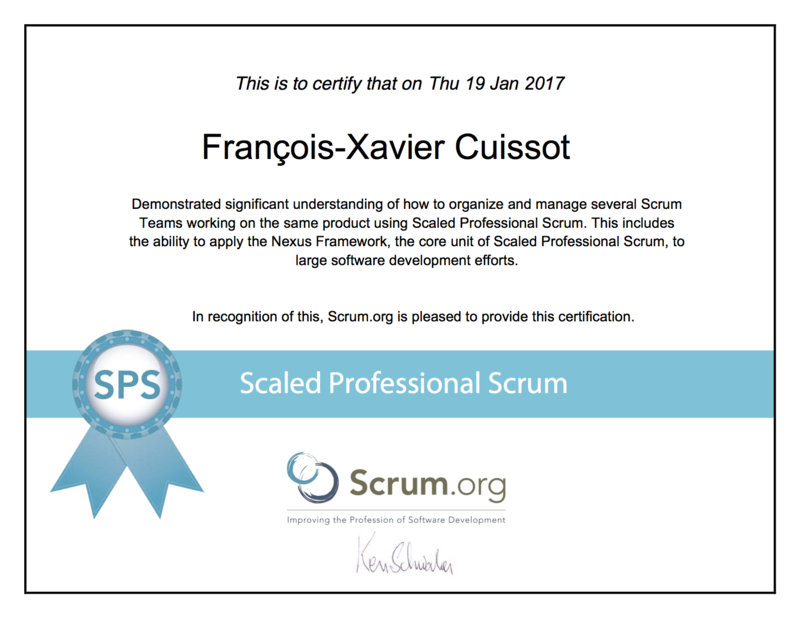 I didn’t take any training courses to pass Scrum Certifications in 3 weeks but I highly recommend to take some. 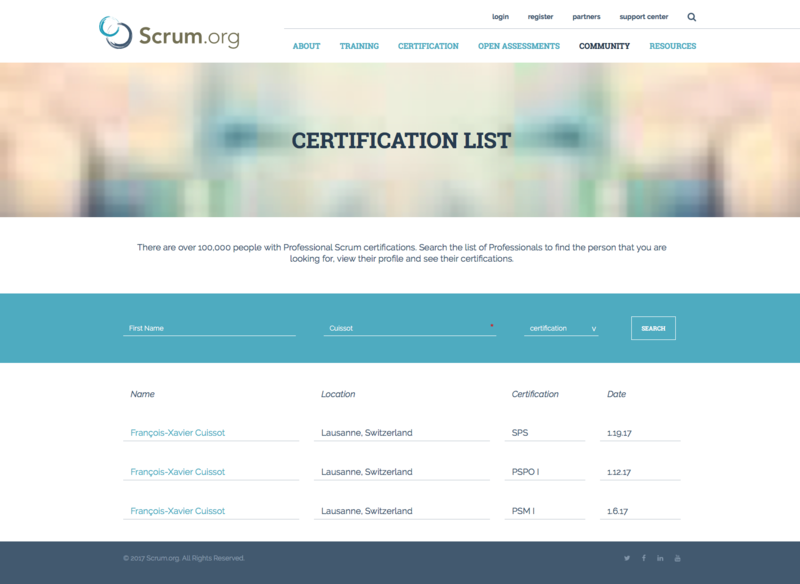 Once you passed a certification, you have of an official Scrum.org profil with your earned certifications’ badges. 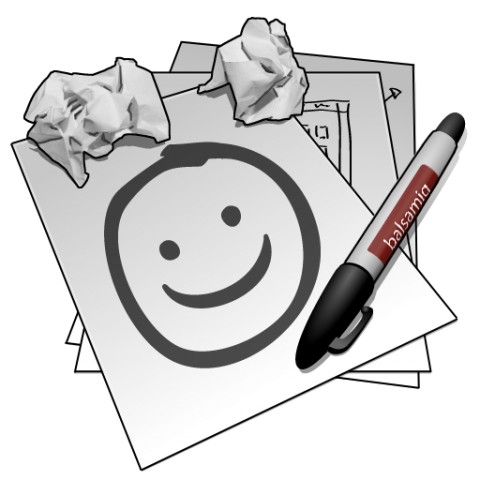 You also have the opportunity to share your achievement when receiving your results by mail. Adding your achievement to LinkedIn Certifications section is a nice move to inform your professional network. 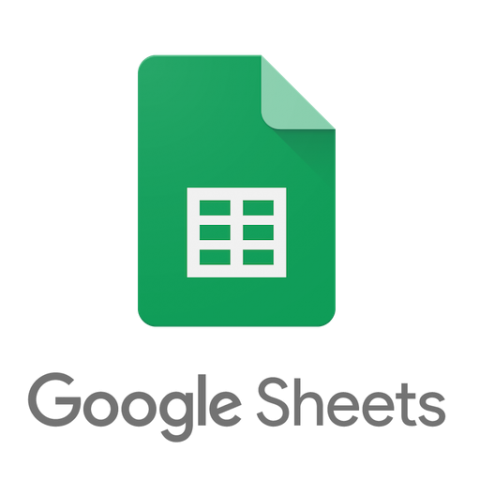 Inform recruiters that you have Certifications may increase your chances to get an interview with potential employers.